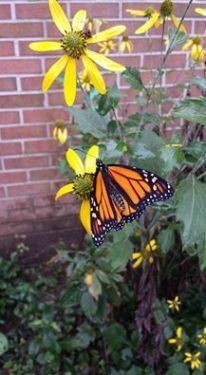 Mrs. Beatty’s class hatched monarch butterflies in the Norge Butterfly garden! 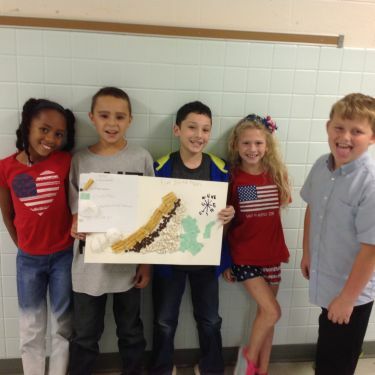 Mrs. Price’s fourth grade class creates their own Regions of Virginia maps. 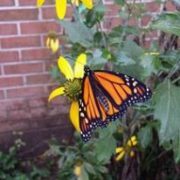 Friday, April 21st from 5:30 – 8:00 p.m.
Near the end of April we celebrate all of the fun things about SPRING! All Norge Elementary School Teachers and Staff Members, Parents, Grandparents, Aunts, Uncles and siblings over the age of 15 are welcome to volunteer for the Spring Carnival Committee. Volunteers work hard to arrange all plans for our largest fundraiser which include: organizing, setting up, staffing and cleaning up after the Spring Carnival, baking a pie or cake for the Cake Walk, or making telephone calls to local businesses for our amazing Silent Auction. The event includes bounce houses, farm animal petting area, pony rides, pie throwing contest, dunk tank, pie eating contest, Karaoke, the Norge Orchestra and many, many more fun events for the whole family. You can also enjoy dinner (Chick-fil-A and many other yummy treats). On the day of the event volunteers help set up stations, staff those stations in shifts, and assist with ticket and food sales. Join us on the following dates to see how you can dedicate your time and talents to make the Carnival a HUGE SUCCESS! Tuesday, October 25th 6:00 – 7:00 p.m.
Tuesday, November 15th 6:00 – 7:00 p.m.
Tuesday, January 17th 6:00 – 7:00 p.m.
Tuesday, February 21st 6:00 – 7:00 p.m.
Tuesday, March 7th 6:00 – 7:00 p.m.
Tuesday, March 21st 6:00 -7:00 p.m.
Tuesday, March 28th 6:00-7:00 p.m.
Tuesday, April 11th 6:00 – 7:00 p.m.
Tickets / Wristband Sales Begin!! 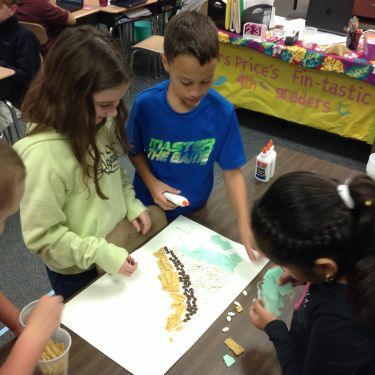 Carnival Clean Up 8:00-9:00 p.m.
All Meetings will be held in the Norge Elementary School Cafeteria and/or Main Office. 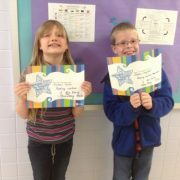 Personal success awards given to Rachael and Sean from Mrs. Darcy’s class for following their new reading routines for third grade! Farm Fresh 1, 2, 3 is Back! FARM FRESH 1,2,3 is back! The 1.2.3.4 for the Community program has kicked off! Each time you shop at Farm Fresh and scan our school´s key tag, it will earn points towards free classroom equipment, all donated by Farm Fresh! Key tags from the ´15-´16 program will work again this year. Need a key tag? Please let one of the PTA members know at Back to School Night! https://wjccschools.org/nes/wp-content/uploads/sites/16/2014/05/logo.png 0 0 Cynthia Cattell https://wjccschools.org/nes/wp-content/uploads/sites/16/2014/05/logo.png Cynthia Cattell2016-09-20 15:02:032016-09-20 15:04:30Farm Fresh 1, 2, 3 is Back! 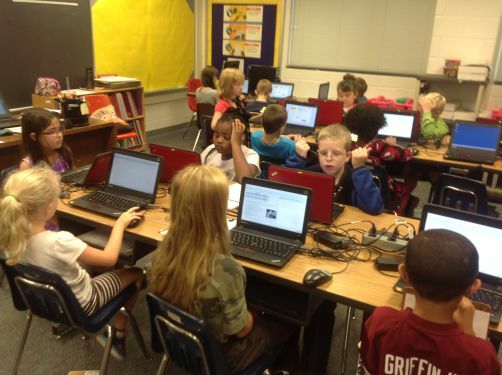 Third graders working hard on their reading MAPS (Measures of Academic Progress) test. 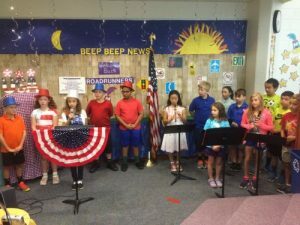 On Friday, September 16, Norge Elementary School celebrated Constitution Day with a special Beep Beep News Constitution program. The five fifth grade SCA leaders were watched live in each classroom as they told Norge students and staff why the Constitution is important to us as a nation as well as why it is important to them as students at Norge Elementary. 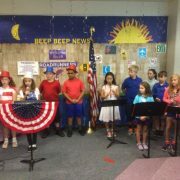 Additionally, the fifth grade recorders played patriotic music for the program. 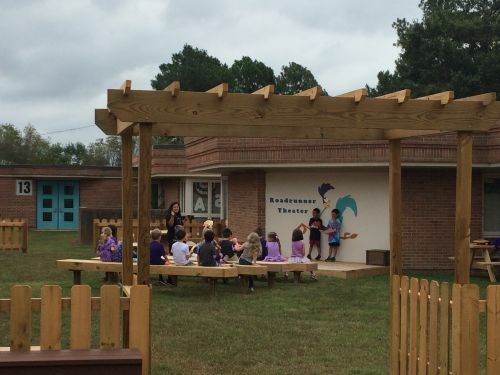 Mrs. Carlsen’s kindergarten class uses the new Norge Outdoor Learning Center! 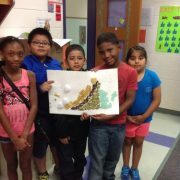 Students took turns going on “stage” and presenting to the class. 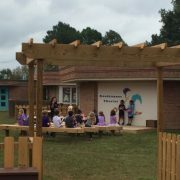 Thank you Mr. Moff, the Norge PTA, and everyone else involved in designing, building, and making this outdoor learning center a reality! https://wjccschools.org/nes/wp-content/uploads/sites/16/2016/09/outdoor-learning.jpg 375 500 Cynthia Cattell https://wjccschools.org/nes/wp-content/uploads/sites/16/2014/05/logo.png Cynthia Cattell2016-09-19 12:02:002016-10-18 10:53:34Norge Learns Outdoors! 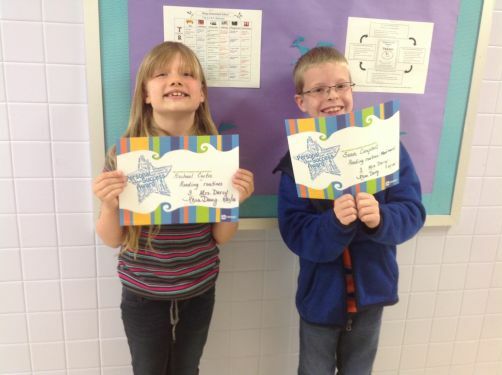 Picture Day is September 28! 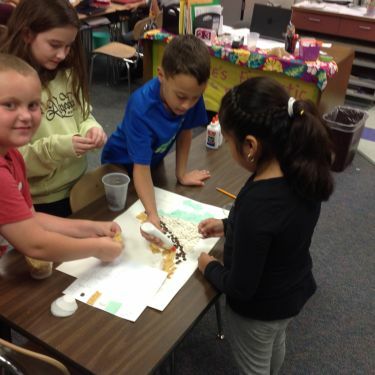 https://wjccschools.org/nes/wp-content/uploads/sites/16/2014/05/logo.png 0 0 Cynthia Cattell https://wjccschools.org/nes/wp-content/uploads/sites/16/2014/05/logo.png Cynthia Cattell2016-09-14 14:03:192016-09-29 14:02:47Picture Day is September 28!